Thanksgiving had not yet come and stores were already playing Christmas music while displays were changed. Red ribbons and green garnish added to shelves along with tinsel and pine branches. And now that Thanksgiving is over, there is a flurry of activity and more music. SirusXM satellite radio will devote several channels exclusively to Christmas music. Regular stations will emphasize Christmas music. It won’t be long before all the restaurants will play Christmas music, some too loudly. And the advertisements all include the Christmas theme. From the posters in the windows to radio and television ads, we are inundated with the message that we must BUY, BUY, BUY if we are to have a jolly old Christmas. Well-meaning Christians try there best to include something about Y’shuaJesus among their own decorations. So we find Nativity scenes with Santa Claus and raindeer and elves and other mythical creatures celebrating. Occasionally I see a sticker plastered on a car that proclaims, “Jesus is the Reason for the Season.” Well-meaning, but to me so misled, so utterly wrong. For these are the same Christians that teach their children about Santa Claus, and in a few months will teach them about the Easter Bunny. Then one day those kids will find out the truth, there’s neither a Santa nor is there a Bunny who lays eggs. Will they conclude then that there’s no Jesus either? It’s all just plain wrong. And it makes me sad. It makes me feel badly. It’s all such perversion. It reminds me of people selling stuff the the Temple of the Lord our G-d in Jerusalem around two thousand years ago. And I’m reminded of what Y’shuaJesus did there. This Christmas season is suppose to commemorate the birth of the Messiah, yet it is not even the time of the year that Y’shuaJesus was born. 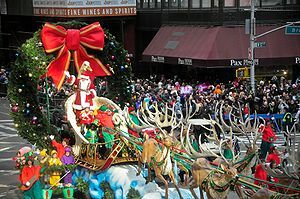 Christmas is celebrated at the Winter Solstice, a very Pagan holiday. And it was the Roman Catholic Church, the only church at the time, that selected and promoted this Christmas thing. It all begins with a lie and becomes a commercial venture. If Christmas were a truly Christian Celebration, then why would non-Christians join in the celebration? Do non-Believers take communion with Believers? Do non-believers sing with Believers the worship songs to the Lord? And besides, when we were instructed to remember Y’shuaJesus, we were to remember that He is the bread of our lives, and His blood was shed for us and for our salvation . . .
Y’shuaJesus is not a baby laying in a manger. Y’shuaJesus is LORD. And I turned to see the voice that was speaking with me. And having turned, I saw seven golden lampstands; and in the middle of the lampstands one like the Son of Man, clothed in a robe reaching to the feet, and girded across His breast with a golden girdle. And His head and His hair were white like wool, like snow; and His eyes were like a flame of fire; and His feet were like burnished bronze, when it had been caused to glow in a furnace, and His voice was like the sound of many waters. And in His right hand He held seven stars, and out of His mouth came a sharp two-edged sword; and His face was like the sun shining in its strength. And when I saw Him, I fell at His feet as a dead man. And He laid His right hand upon me, saying, ‘Do not be afraid; I am the first and the last, and the living One; and I was dead, and behold, I am alive forevermore, and I have the keys of death and of Hades. Everyone will acknowledge Y’shuaJesus as Lord. When my children were little. . .
Lord Bless, Keep, Shine . . . to you, too!